The school board of the Gasconade County R-I School District met Thursday, March 14th in regular and executive sessions. 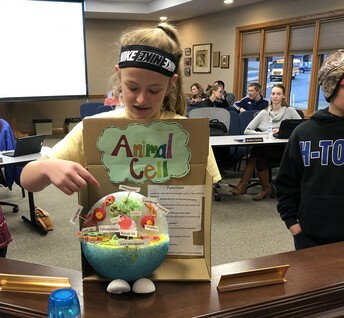 Hermann Middle School presented 6th grade students to share with the board their work on cells and the models they built, as well as a video several students made explaining what they have been learning about in their classes. 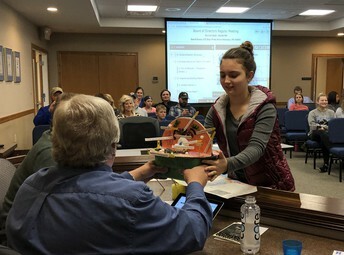 Karigan Lane shows her project to Director Stiers. 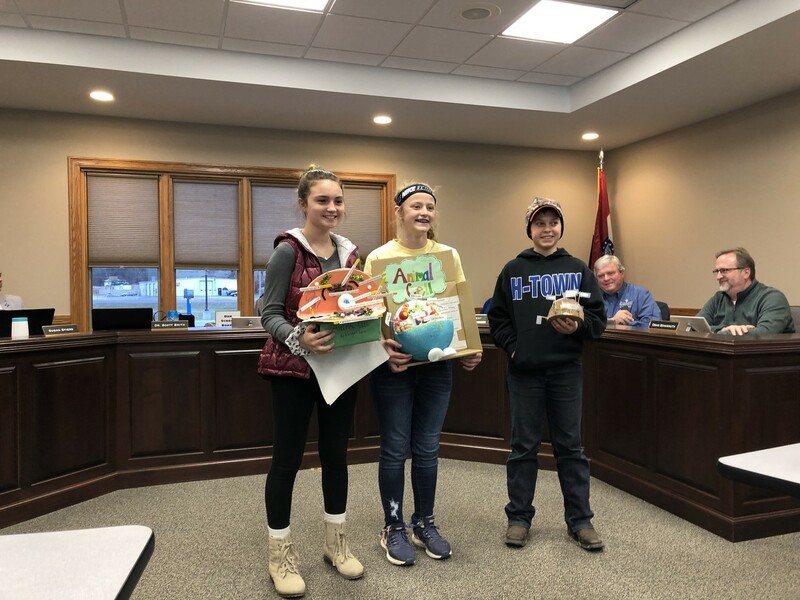 Karigan Lane, Kennedie Witthaus, and Landon Diebal. 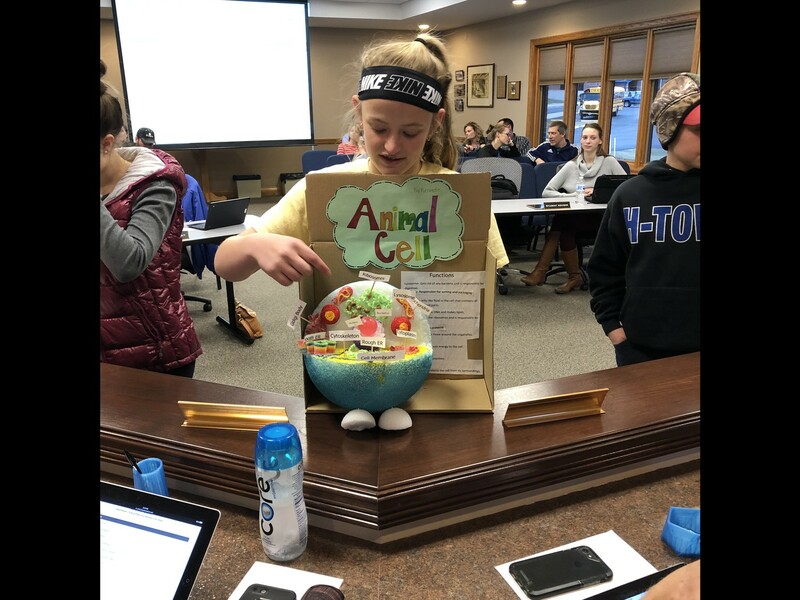 Kennedie Witthaus explains her animal cell project. 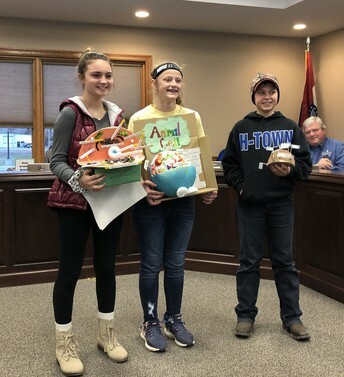 City of Hermann Mayor Bob Koerber and Alderman Dave Faerber attended the school board meeting this month to inform the board and audience about the city's Streets Proposition that will be on the upcoming ballot. The teachers in attendance gave the board positive feedback on Monday's professional development day. The teachers each felt like they took away knowledge that could be used in their classrooms. This month's professional development focused on technology in the classroom and professional learning teams. GCTA President Maggie Stiegman reported to the board that several teachers had traveled to the Capitol in Jefferson City to visit with legislators about pending action that will affect education. GCTA urges all teachers to contact their representatives to discuss these important issues. In the Superintendent's report, the board was updated on school safety and the accomplishments made in this area so far this year. Dr. Smith updated the board on projected enrollment numbers for next year as well as the upcoming budget shortfalls due to the loss of state revenue due to declining enrollment. Dr. Smith also discussed the staff health insurance renewal which is an 8.5% rate increase plus an assessment per employee that will cost the district approximately $39,000. Dr. Smith will continue to gather information, work with the Salaries and Benefits Committee, and come back to the board next month with a plan. Dr. Smith also reported that the audit has been scheduled with KPM for July 31st - August 2nd. 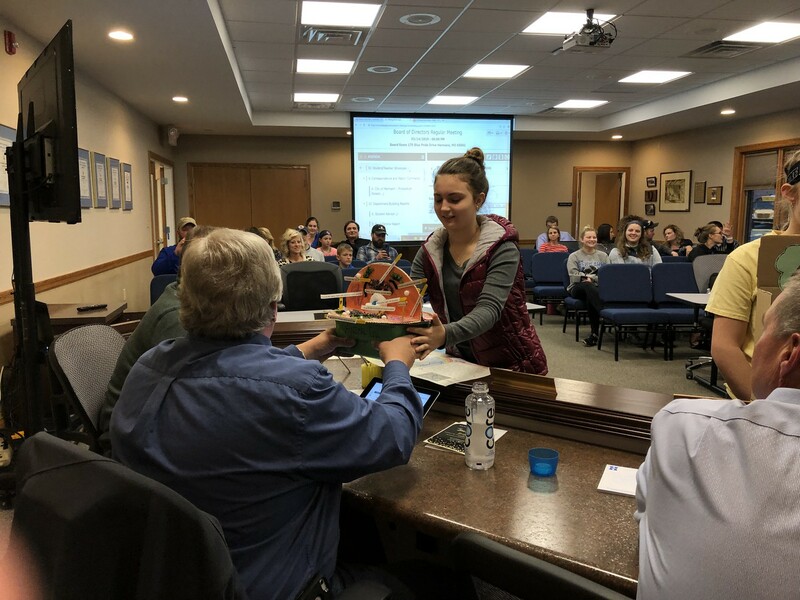 The maintenance department was given the green light to hire summer workers for upcoming projects, and the 2019 Summer School dates were approved by the board as well. The Bearcat Memorial Committee recommends David Schulte for induction into the memorial this fall. David was a long time supporter of the school as the Chief of the Hermann Fire Department. The food service contract with OPAA! 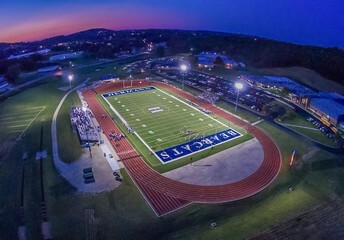 was extended for the 2019-2020 school year. Policy updates presented to the board from MSBA were not voted on due to difficulty opening the files, they will be revisited next month. In closed session, the board accepted the following resignations: Alexis Hughes from Paraprofessional and Girls Basketball Coaching positions, Shelby Cooper from Girls Basketball Coaching, Rebecca Barringer as Choral Music Teacher, and Chloe Zumsteg as Elementary Teacher. The board rehired returning Probationary Certified Staff members, including those who will receive tenure in 2019-2020. In addition, the board approved the hiring of a new substitute teacher. The board also hired Chris Leibach as Head Softball Coach.